Carpenter Bus Sales represents a number of different bus manufacturers. While there are companies all around the world who build buses, we choose to work with American bus manufacturers. 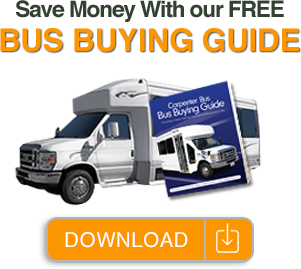 This page is a great starting point to learn more about the manufacturers that make the buses we choose to carry in our inventory. Three of the dealers we represent are Starcraft Bus, Federal Coach, and Glaval Bus. All manufacturers that we represent are leaders in the bus transportation industry and each has their own unique production style and body/chassis characteristics. By providing you with basic information on each manufacturer, you can choose between several different models. Your Sales Associate will help you determine the right fit for your budget and needs. Please check out some of our online bus brochures. Starcraft Bus is one of the nation’s leading producers of small and mid-size buses, for 15 to 46 passengers. If you manage, own, or operate a bus fleet of any size, consider the affordable, top-quality alternatives from Starcraft. Glaval Bus offers a full line of top quality buses ranging from 21` to 40` in length with virtually unlimited floor plans. “Steel Safe” construction wraps passengers in strength and safety while providing the reliability and durability that you need. Berkshire Coach builds luxury coaches for 25 - 32 passengers. Every option comes standard, including Black Hamilton Luxury Upholstery, Hadley Swan Overhead Luggage Racks, Wood-look Composite Flooring, Interior Accent Lighting and many technology features like GPS, PA System, Bluetooth, and USB recharging port throughout the bus. Looking for intelligent luxury? Look to Berkshire Coach. 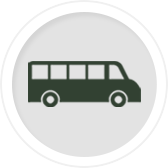 TransitWorks offers full-size vans and minivans, modified to carry up to 15 passengers, from some of the top auto manufacturers including Ram, Ford, Chrysler, Toyota, and Mercedes-Benz for use as wheelchair accessible taxis and commercial vehicles. TransitWorks builds a wide variety of vehicles in 4 categories: People Transporters; Mobility and Paratransit Vans; Work and Crew Vans; and Taxi, Rideshare, FHV vehicles. BraunAbility offers a wide range of side-entry and rear-entry wheelchair accessible vans and SUVs available in the mobility industry. Designed with the ability to fit the needs of any lifestyle, BraunAbility provides vehicles from some of the leading manufacturers, including the Ford Explorer, Dodge Caravan, Honda Odyssey, and Chrysler Pacifica. In addition, pre-owned wheelchair accessible vans are also available. Most importantly, each type of vehicle offers distinct advantages.